The updated Honda CBR650F arrives in India after being discontinued in April this year, and sports a bulk of changes and a slighly more competitive price tag. Having made its debut at the EICMA Motorcycle Show last year, The 2017 Honda CBR650F has been launched in India priced at ₹ 7.3 lakh (ex-showroom, Delhi). The updated CBR650F is not only now BS-IV compliant, but also gets a plethora of upgrades over the older model. The middleweight sports tourer is priced at a slightly more competitive price tag than the previous version, which is a welcome change. The new Honda CBR650F will be available via the bike maker's premium Wing World dealerships located in 22 cities across India and the outlets are accepting bookings. Speaking about the new launch, HMSI - Senior Vice President - Sales and Marketing, Yadvinder Singh Guleria said, "The new CBR650F delivers a strong dose of CBR series sporting intent and style. With a great combination of sporty style & powerful performance of inline 4 cylinder engine, CBR650F has got a long list of enthusiastic riders. 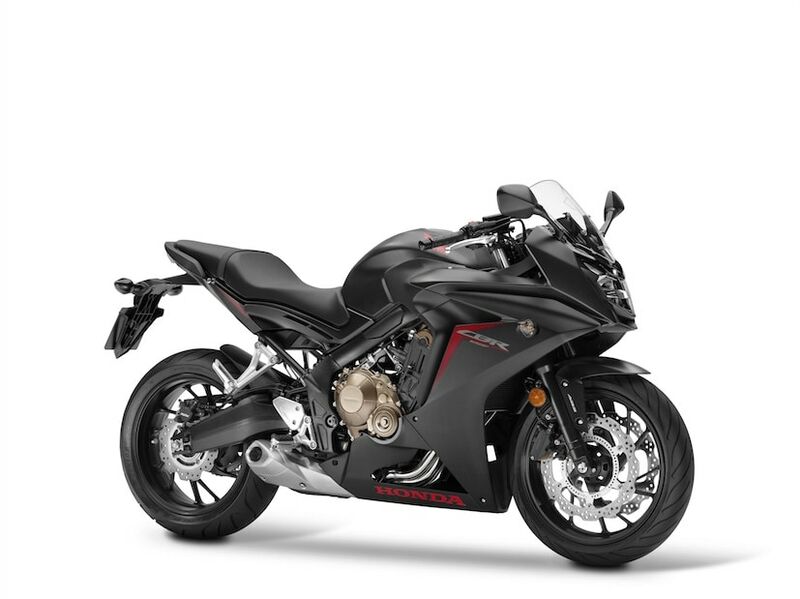 The new CBR650F offers additional value at no increase in price from its previous generation. We are confident, the enthusiast will feel the rush and get delighted with new ride & excitement." While the design remains largely the same as the current version, Honda says the 2017 CBR650F borrows cues from the new CBR1000RR Fireblade. The bike now sports an LED clear-lens headlight surrounded by a sharper-looking fairing. The tail section has also been revised for a sleek appearance and houses the LED taillamp as well. Furthermore, the 4-in-1 side-mounted exhaust now gets a dual-pass internal structure, replacing the triple-pass unit that helps reduce back pressure. This, in turn, Honda says helps achieve a better exhaust note on the CBR650F. Other upgrades on the 2017 Honda CBR650F include an updated suspension setup that includes new 41mm Showa Dual Bending Valve (SDBV) front forks for more effective control. The forks are also lighter and regulates how much compression damping can be reinforced for delivering, which is equivalent to cartridge type suspension units. The rear gets a seven-step adjustable monoshock unit. An aluminium swingarm offers stability on the CBR. Braking performance comes from new dual piston Nissin front calipers and sintered metal pads on 320 mm dual front discs. The rear gets a 240 mm disc with a single-piston caliper and resin mold pads. Power continues to come from the 649 cc in-line, four-cylinder, liquid-cooled engine tuned to produce 85.42 bhp of power while torque output has seen a mild drop at 60.4 Nm. The motor is paired to a 6-speed gearbox that gets revised gear ratios for strong mid-range performance. The 2017 Honda CBR650F continues to use a steel diamond type frame underneath. 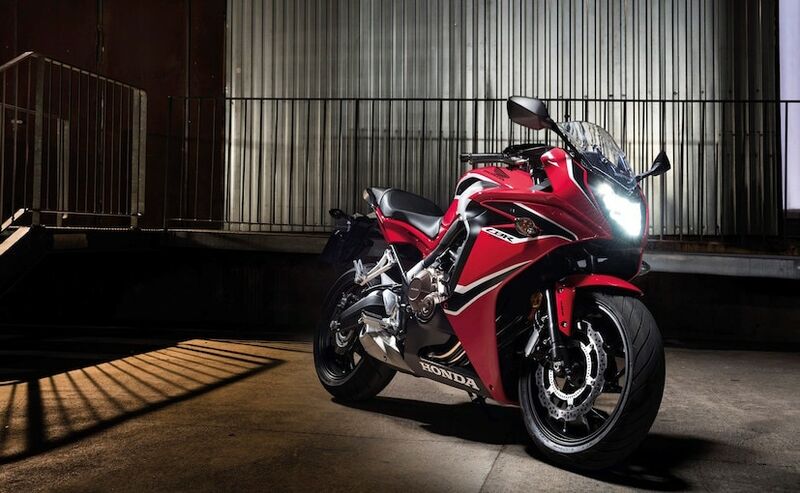 Known for its touring capabilities, the Honda CBR650F found a strong liking as a capable sports tourer and the updated model is certain to find new customers as well, especially with the new price tag. 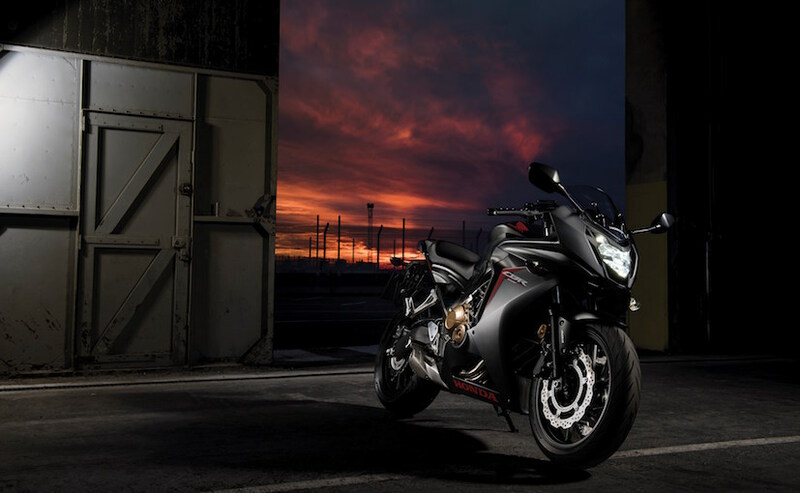 The 2017 CBR650F competes with a host of offerings including the Kawasaki Ninja 650, Benelli TNT 600GT and is only slightly cheaper than the base variant of the Kawaski Z900. The model will be available in two colour options this time - Millennium Red and Matte Gunpowder Black Metallic.